Thanks so much for stopping by today! 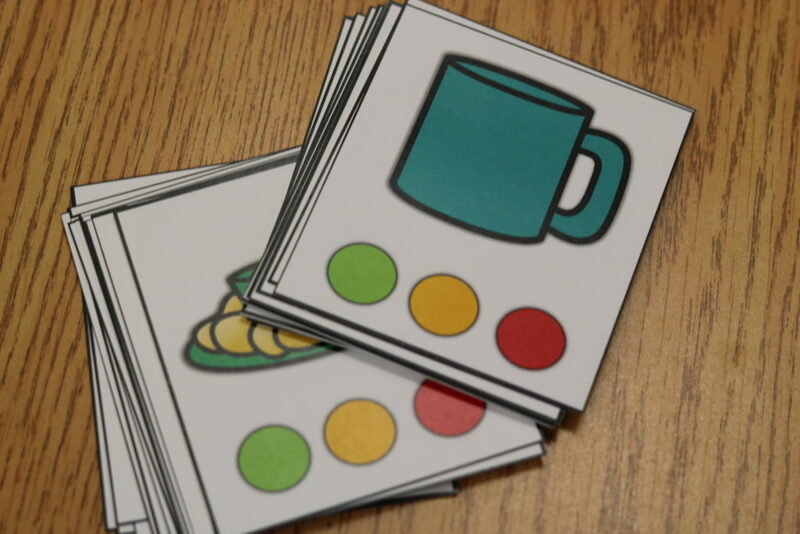 I would like to share with you a few sets of cards that are PERFECT for your guided reading block! 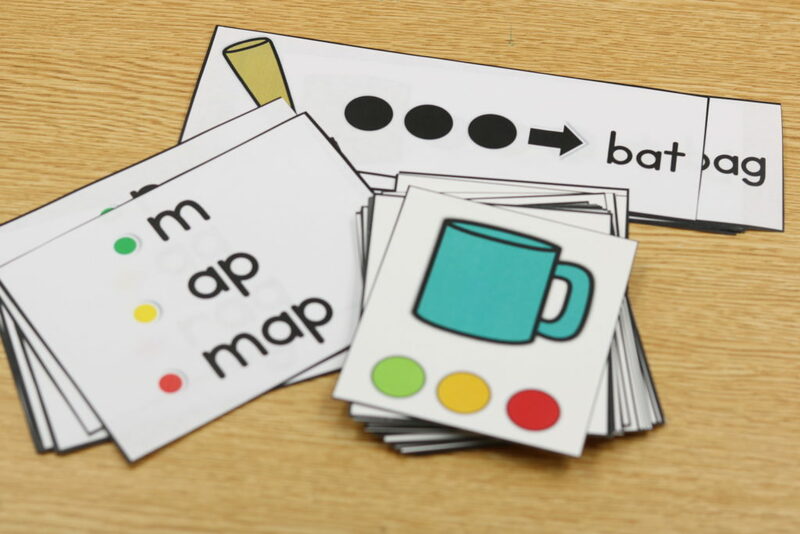 These cards are great for students that are ready to stretch words, blends words and those working on identifying sounds (beginning, medial and final). Below you can watch a super QUICK video of me explaining each set! I will also explain them individually below. You will be able to download all THREE sets of the cards for FREE! Perfect, right? The first set I shared in the video are my PSF stretchers cards! 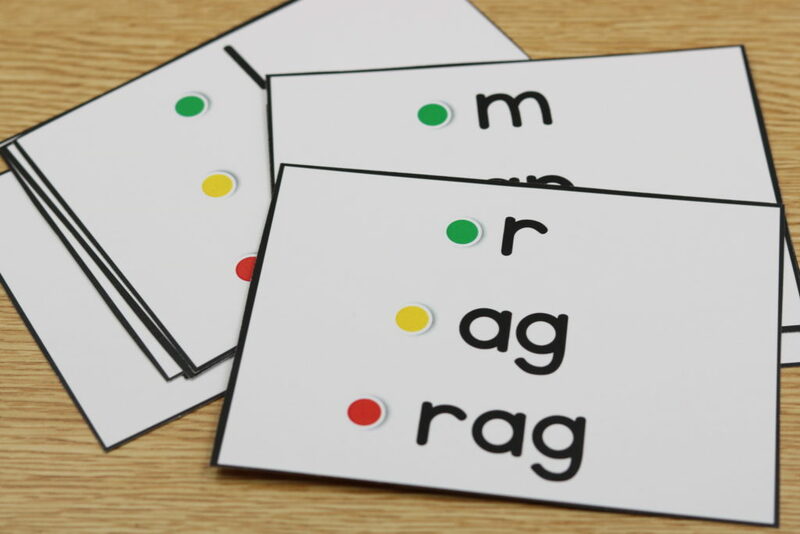 I actually have these cards in one my very first TPT products, Phoneme Segmentation RTI! 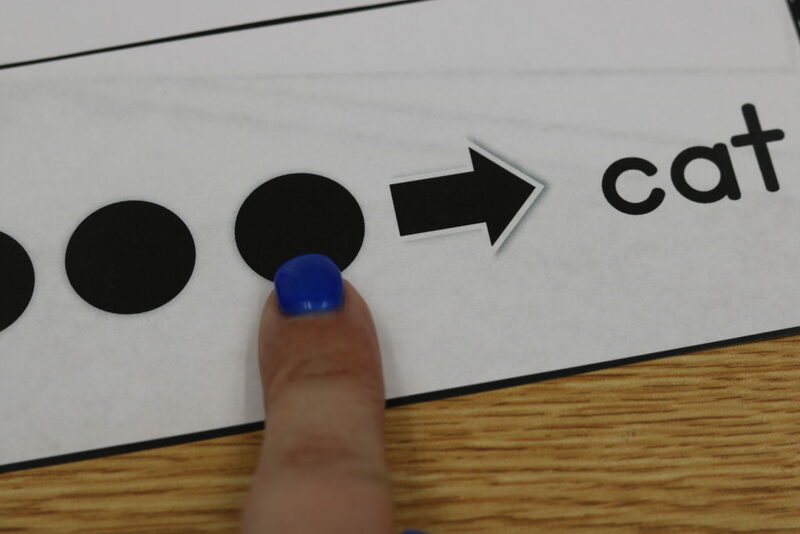 I get a lot of emails from teachers that explain that there students are able to stretch words, but that they do have a few that are unable to blend the entire word. A lot of times these students will drop the final sound like- /b/, /a/, /g/, bat. 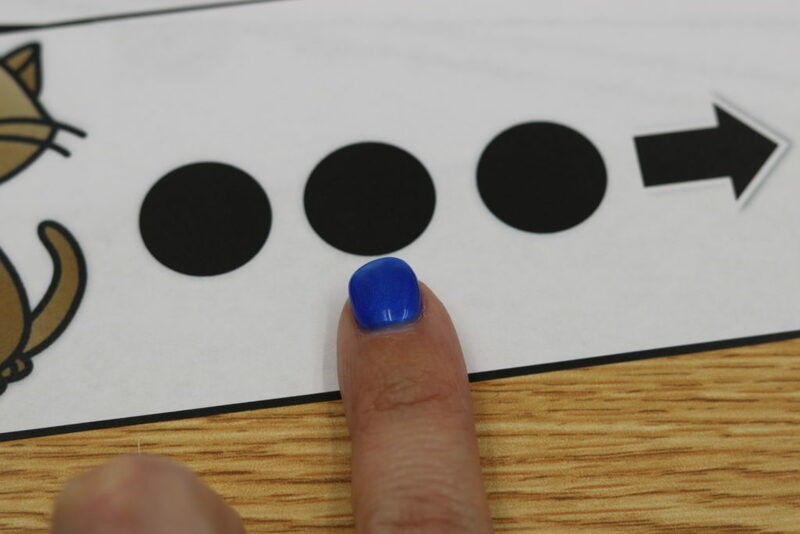 We know that students should be confident in the “hearing” of sounds before “seeing” them. I do feel though that if they are struggling with hearing that final sound then the PSF stretchers cards are a great tool to try. 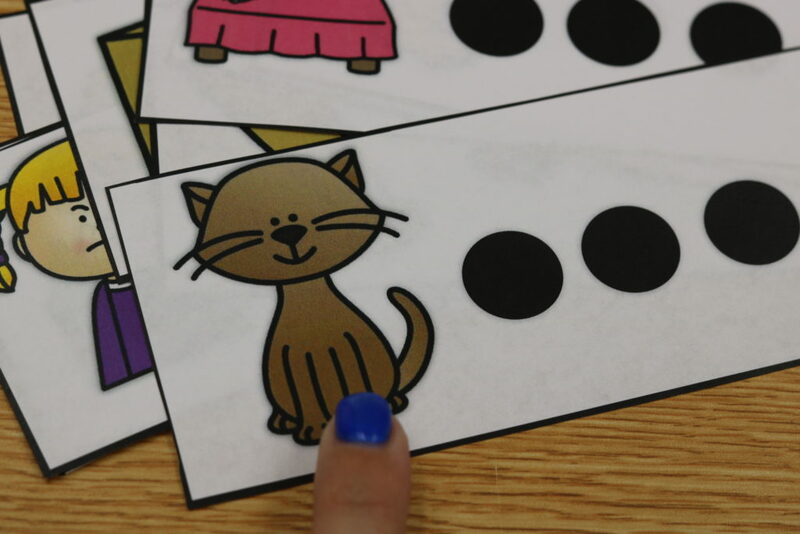 With these cards, the students are able to truly SEE the sounds in the words after stretching. Step One: Tap and state the picture name. 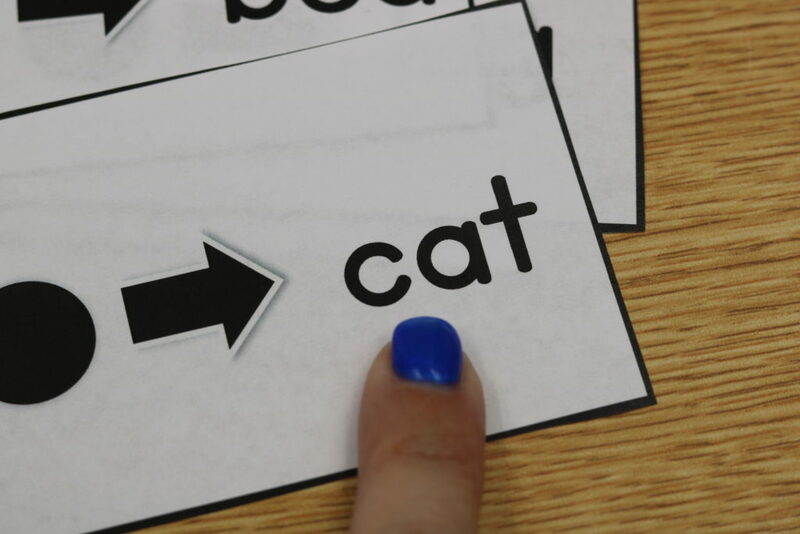 Step Three: Blend the word back together and state “cat”. 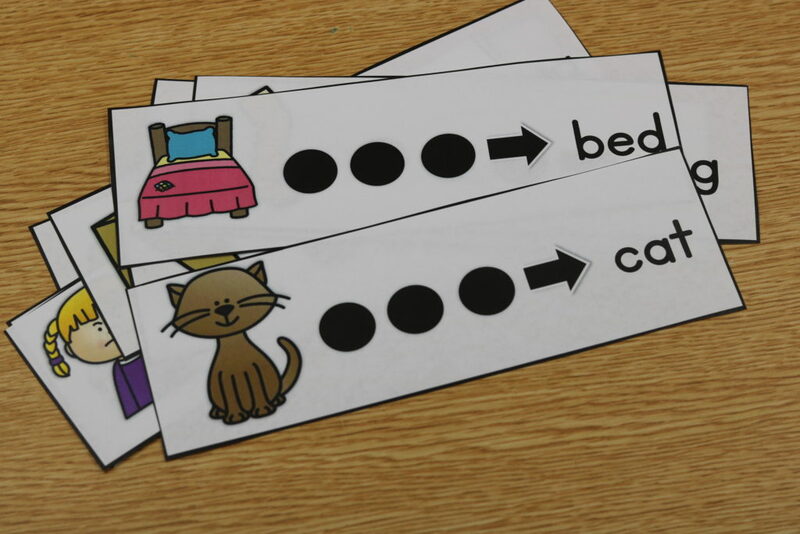 These cards are great as a warm up for guided reading or your morning word! 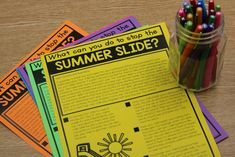 You can print them on cardstock and laminate them for the best repeated use. You can hold them as the teacher but I prefer to have them in their hands so they can tap each sounds. 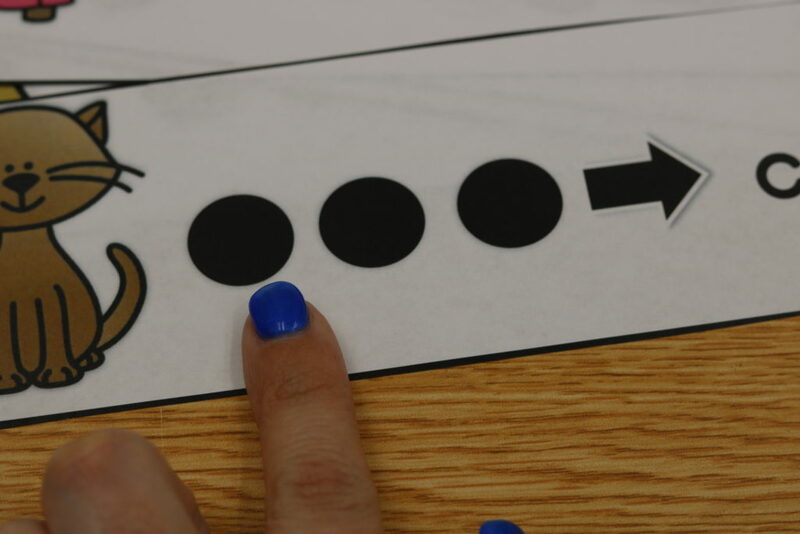 At the guided reading table you can pass one card around and have each student stretch the word. 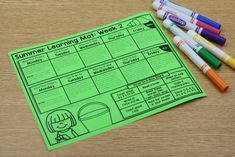 (This would be best for students that are in the early stages of stretching sounds and would help with confidence.) You can also place several cards in the middle of the table and have them reach in to grab one, stretch it out, place it back in the middle and grab a new one. If you do quick “check-ins” during the day then these would be great for that as well! You can take them with you to the hallway and have students state one before entering the restroom! 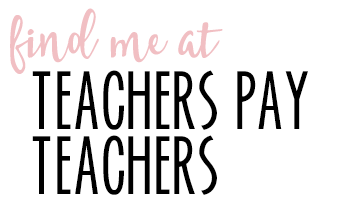 You can download these FREEBIE cards HERE or clicking below!! Up next are the sound cards! These can be really used through the year as your students build their knowledge of sound identification and even sound manipulation. I feel that these are more teacher driven cards and the teacher would be holding them. However, I’m most certain that you can also find use in them for the students to try themselves. 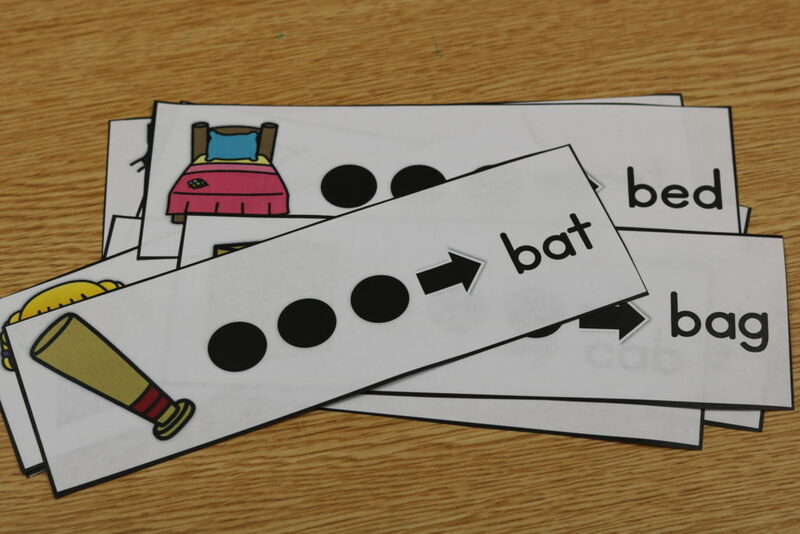 You could possibly hand them out during guided reading warm up and the students stretch the words sound-by-sound and then write the word on their whiteboards! How about the word builder cards? These are perfect when we are teaching students to attack words! The students will also work on blending in a little different kind of approach (onset and rime). 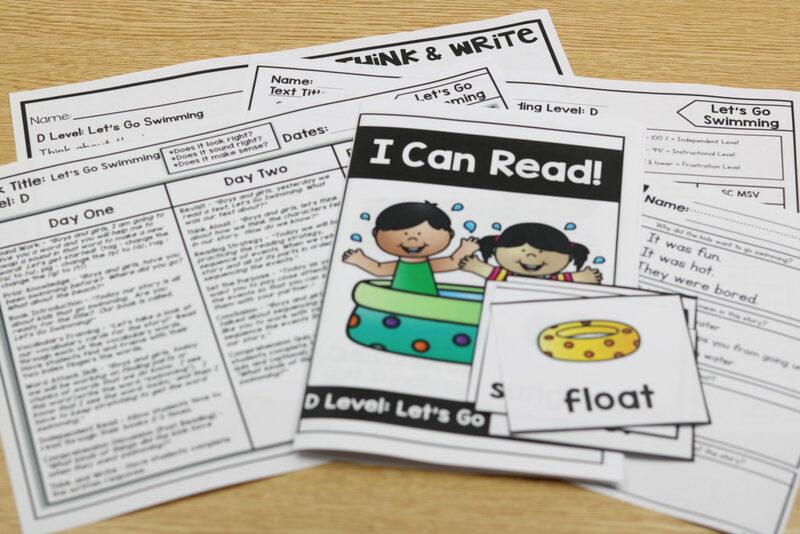 You can print these double-sided and use them as a warm up for your guided reading block! 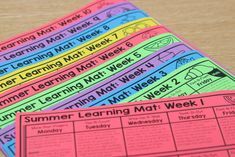 They are also perfect to use on “the run” when assessing students through the day. 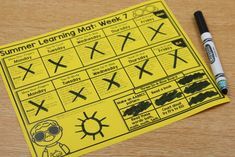 You can download these freebie cards HERE or clicking below! 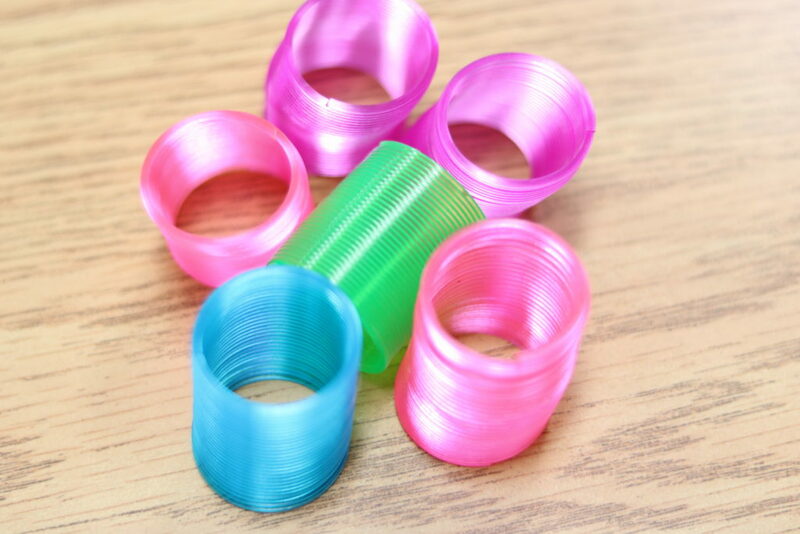 How about slinkys for stretching words? I snagged this set of small slinkys from the party goods aisle of Walmart! Check them out in action below! 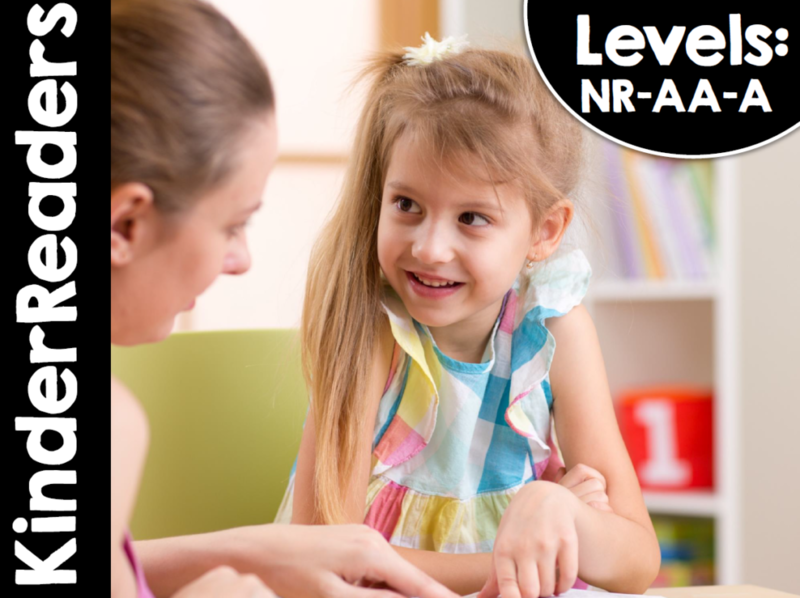 KinderReaders™ is a program designed to assist teachers, paraprofessionals, ELL staff, RTI teachers, home-school parents and any other individual striving to teach reading to a young child. 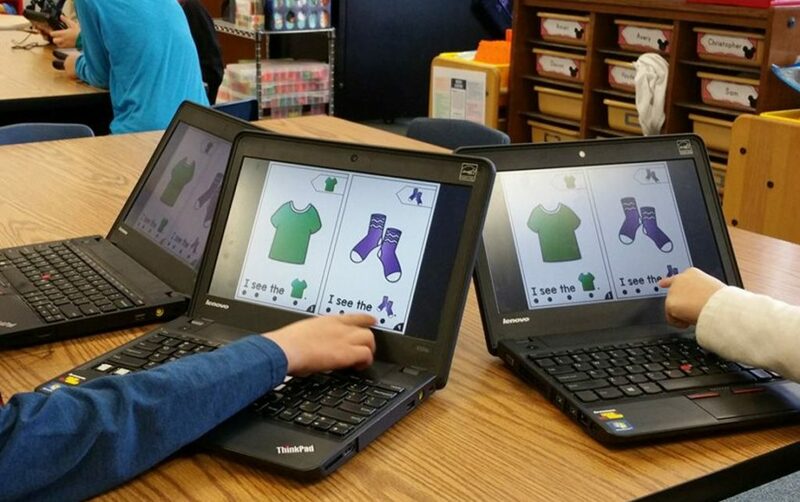 KinderReaders™ is a systematic program. What does this mean? 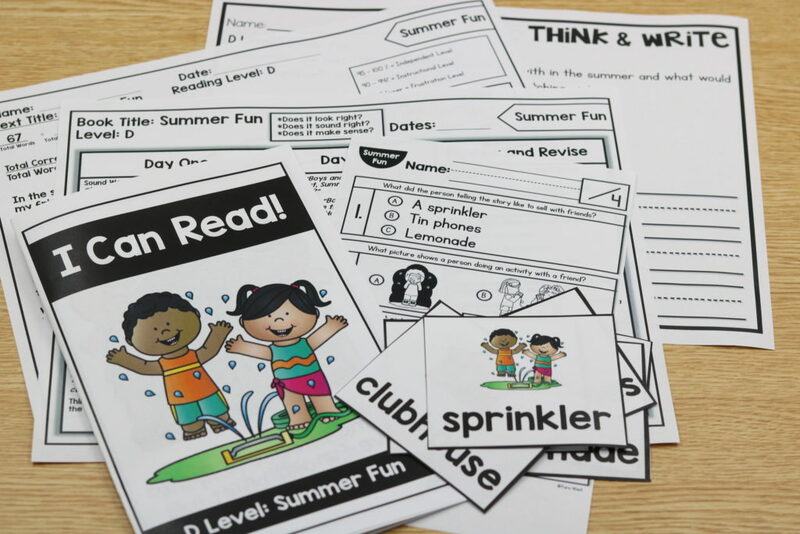 Each text of KinderReaders™ is given the same materials and presented to the students in the same manner. 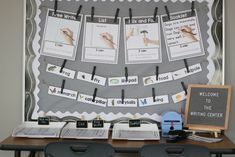 This allows for student growth because new routines are not being taught, only new concepts like new texts in this case. 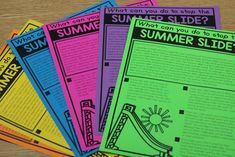 The program includes all of the necessary pieces and is designed in a way that allows you to simply print, prep the materials and add in students! 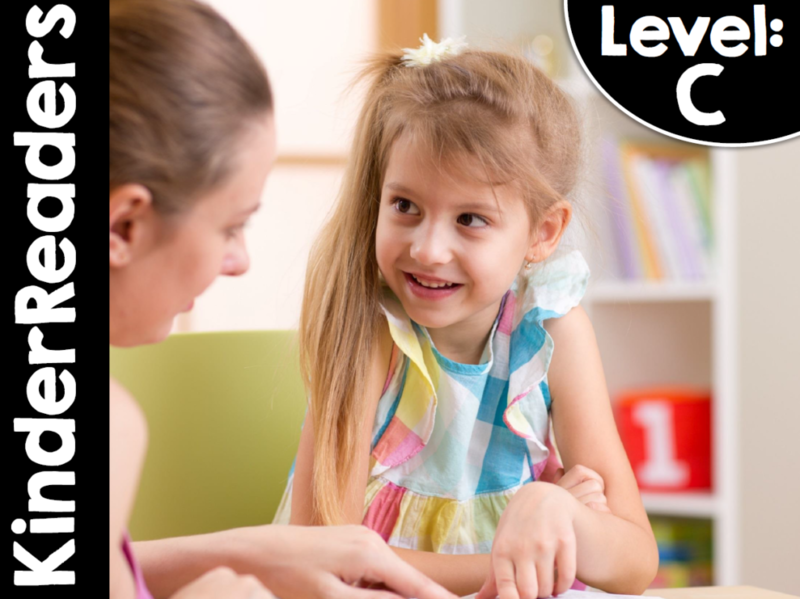 What exactly is included in each level? Below is a look at the materials included for each book! 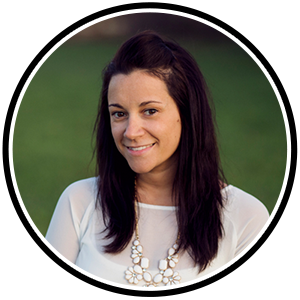 All student materials are available in Spanish! 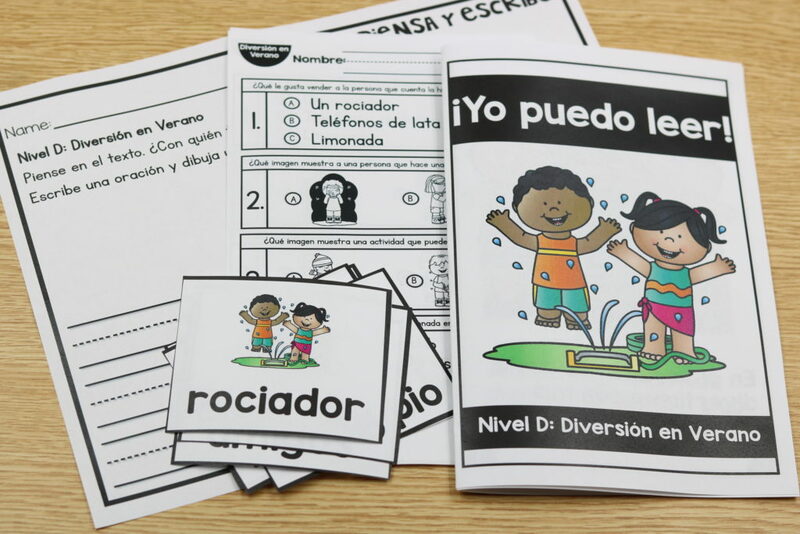 Each of the English and Spanish books are also available in an interactive format! 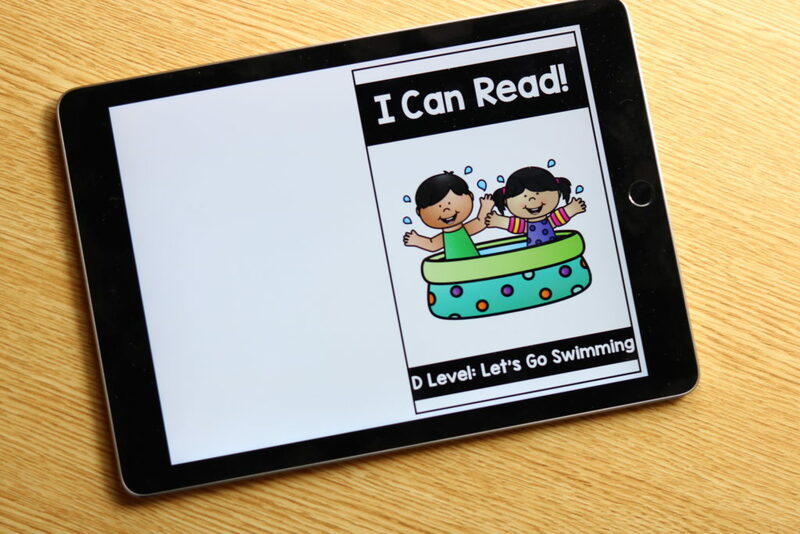 They can be used on Ipads, computers, interactive whiteboards, etc! 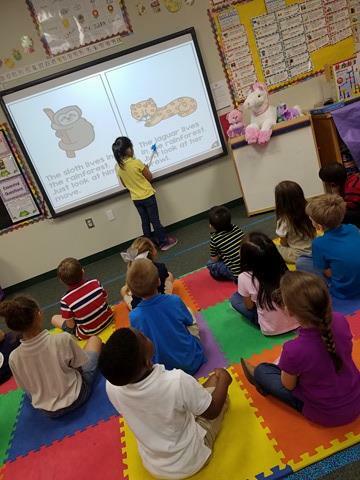 If you are interested in trying KinderReaders, you try it for FREE!!!! I’ve compiled all of the material for Level D, Let’s Go Swimming! You can click HERE to download or on the image below! Note that this is a zipped file and will most likely need to be downloaded on a computer! You can check a sample lesson plan from KinderReaders below! You can click on the images below if you’re interested in purchasing KinderReaders! 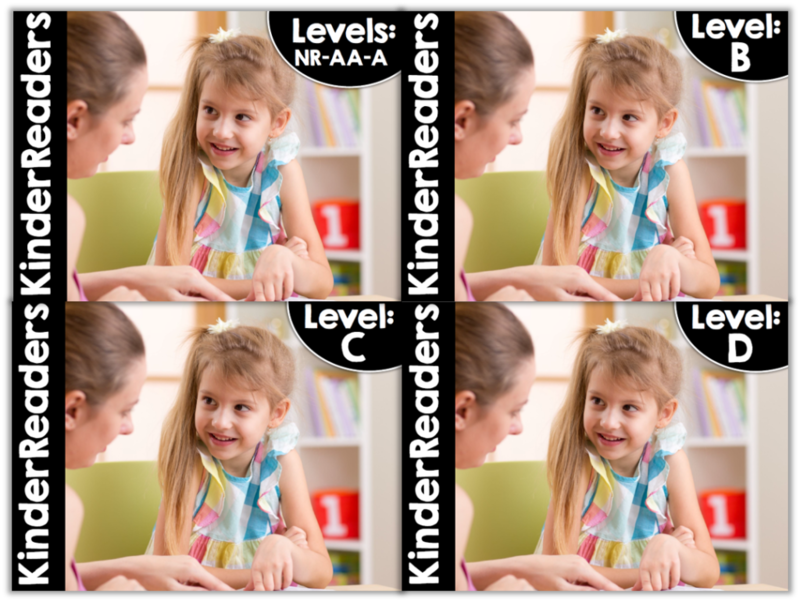 What is the difference between the KinderReaders and the readers in your Guided Reading Curriculum? Thanks! Thank you , your Freebies is a big help for my niece and nephew.